I have a rechargeable desk led lamp with USB power input. Although it's supposed to hold charge, it only works when plugged. 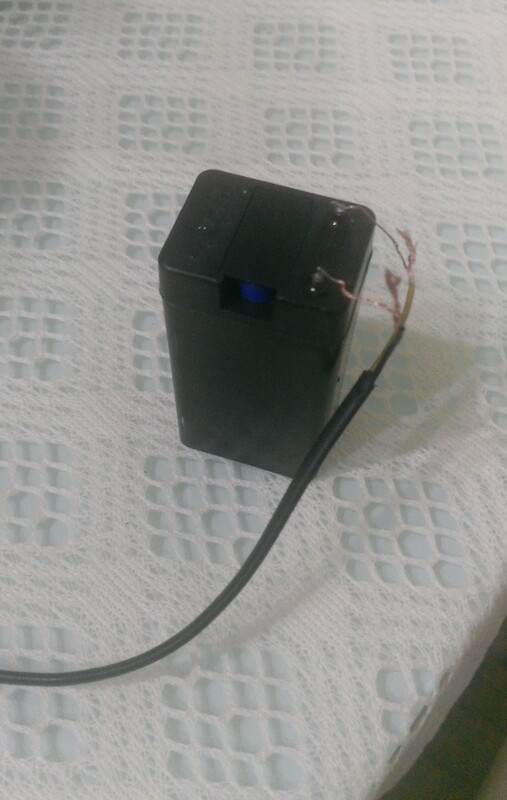 I opened it and found that the problem is about included lead acid rechargeable battery. I cut out the broken battery and connected a li-ion 3.7v in its place that I got from an old broken cellphone. Lamp lights up just fine now but I'm afraid to connect the lamp to a power source since li ion and lead acid are different type of batteries. Am I creating a potential fire hazard or is it fine? No, it is not fine. Lithium batteries have different charge profiles, and must be managed more closely than the relatively forgiving lead-acid batteries. Doing this could result in dead battery, or even fire. And, you don't even seem to know the nominal voltage of the lead-acid battery. Not the answer you're looking for? Browse other questions tagged lithium-ion lead-acid or ask your own question.